I used a scrap of leftover hardwood plywood and door frame moulding to create a framed chalkboard for our living room/office. 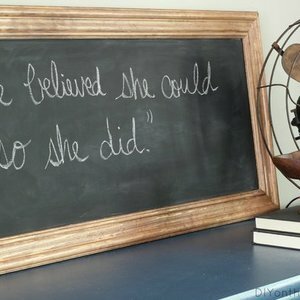 I sanded the hardwood plywood first, and then added a coat of spray primer and 3 coats of chalkboard spray paint. 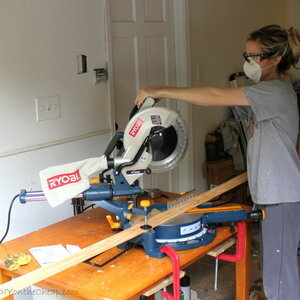 Then, I measured and cut my frame using the door frame moulding, making 45 degree miter cuts. 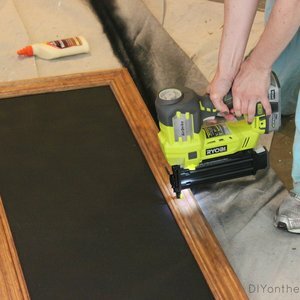 I stained the frame and added a top coat, then attached it to my chalkboard using wood glue and my cordless brad nailer. 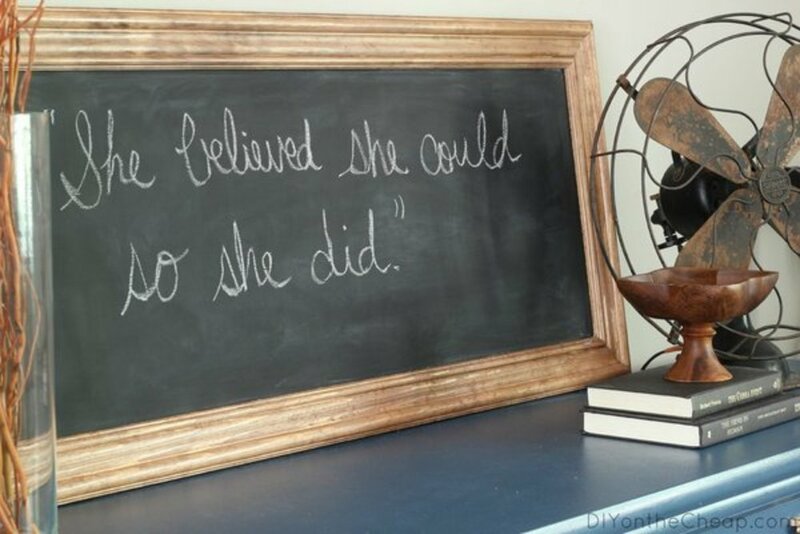 I opted to prop my chalkboard, but you can add D-rings to the back if you prefer to hang it on the wall. 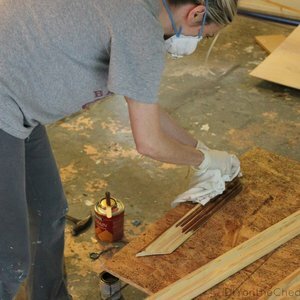 You can also add thin moulding to the edges if you don’t want the raw edge of the plywood to show. I left mine as-is since it isn’t noticeable. 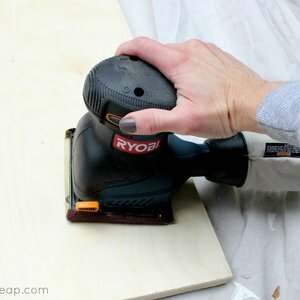 This was my first time using a miter saw and a brad nailer, and I found this to be a great starter project for getting comfortable with the tools. 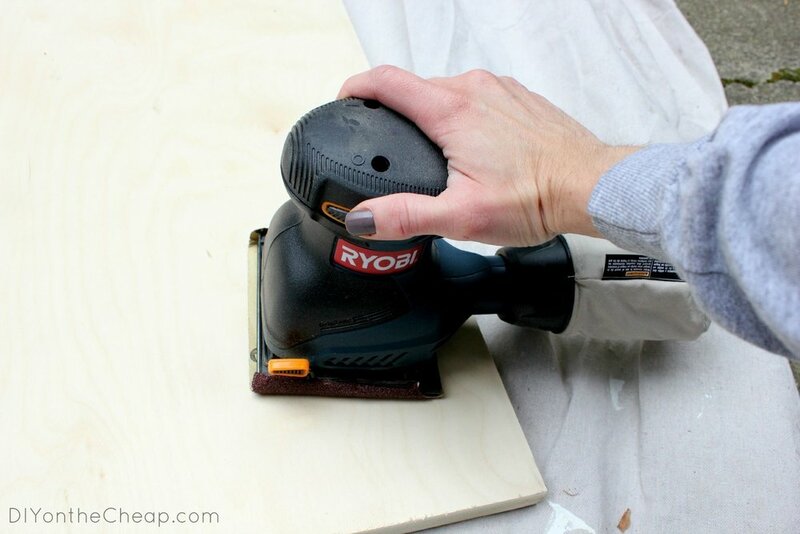 Once you have your hardwood plywood cut to your desired size (they’ll do this at Home Depot when you buy it, or you can cut it down yourself), sand it smooth. 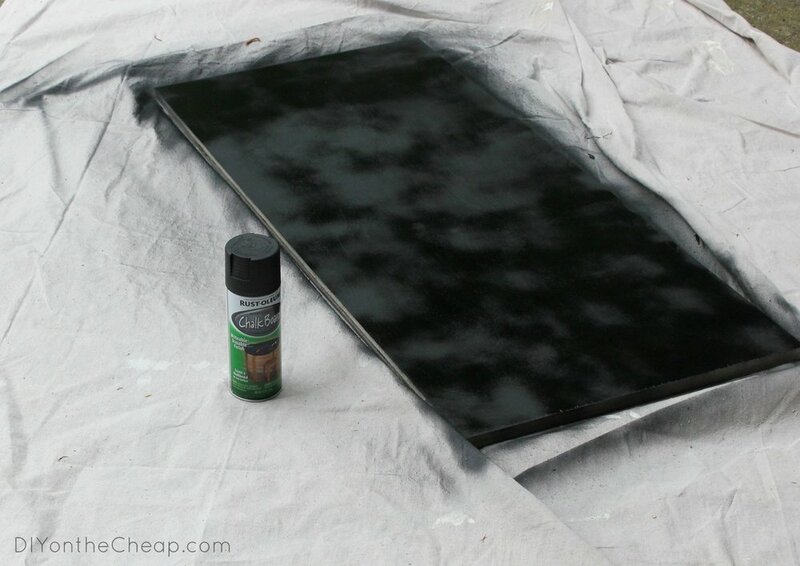 Spray a coat of primer onto the plywood, then spray on 2-3 coats of chalkboard spray paint. 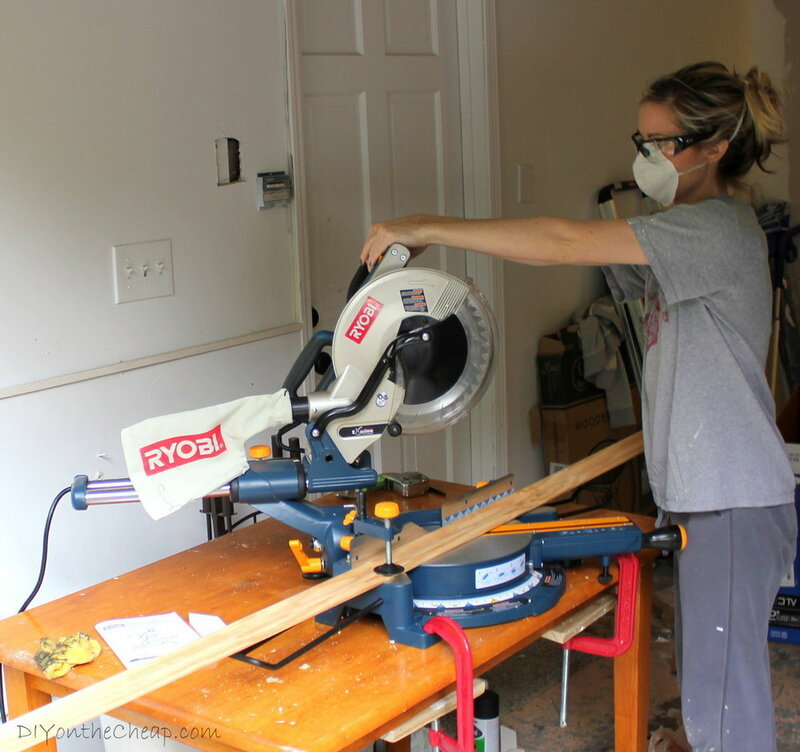 Measure and cut your door frame down to size using 45 degree miter cuts with the compound miter saw. 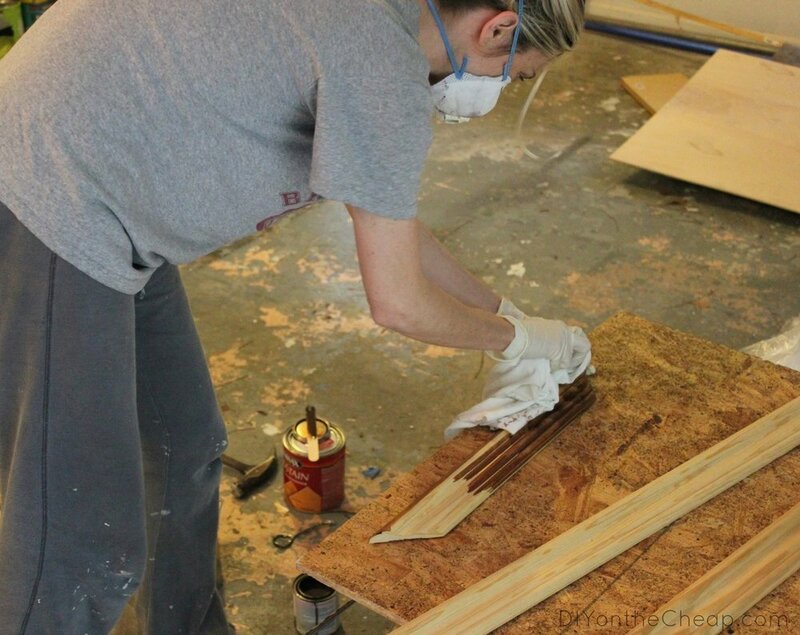 Stain your frame pieces and add a topcoat. 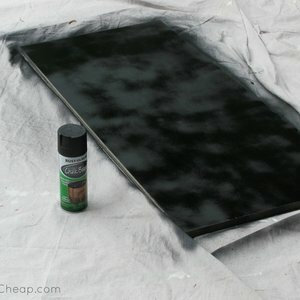 I used polycrylic to protect my finish. 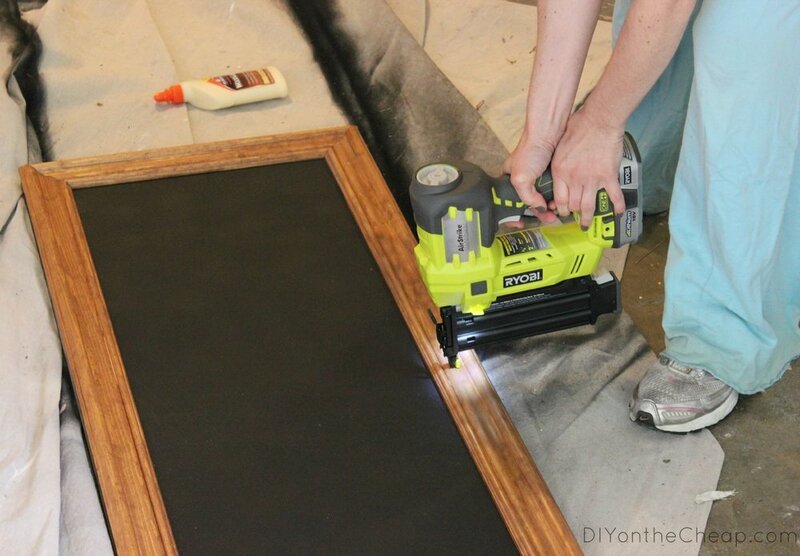 Attach your frame to your chalkboard using wood glue and your brad nailer. Prop your chalkboard against the wall, or attach D-rings to hang it. Also optional: attach thin trim or edge banding to the exposed raw edge. Mine isn’t noticeable but depending on where you are going to display it, you might want to do this.